Pre-Raphaelite artist and poet Dante Gabriel Rossetti’s first published poem, “The Card-Dealer,” was based on a painting by Theodore von Holst (1810-1844) called “The Wish” or “The Fortune-Teller” (1840). The poem, which epitomized Rossetti’s fascination with the theme of the femme fatale, was inspired by the painting that he described as being of “a beautiful woman, richly dressed, who is sitting at a lamp-lit table, dealing out cards, with a peculiar fixedness of expression.” In his poem, the woman (Death?, La Morte, in Rossetti’s Italian) plays with men as she plays with the cards, which, we are told, represent the heart that craves the more it feeds, the diamond that makes even the base seem brave, the club that smites, and the spade that digs a grave. Read more about the poem and the painting here. It’s a beautiful painting and beautoful poem – they really do go together! I have had that picture in my computer forever and all I could recall was it was something like fortune teller and by Rosetti…and could never find it…well duh, I had the artist mixed up with the poet. You rock! Thanks for sharing that poem. It has a beautiful flow and, of course, subject matter. 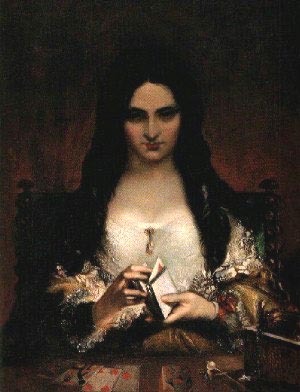 A student of Rosetti’s painted a variant of the this female-fortune-teller with cards–if you follow the link, there’s an interesting image painted similar to this original one. In the image to this link, she is holding cards in her hands and there is a man behind this fortune-teller pointing to the cards she is dealing out. Fascinating subject–I thought of this Theodore von Holst card-player image and Rosetti poetic post when I happened on the linked image. Meijimari – Thank you so much for the image. It’s really intriguing. Sweet site, I hadn’t noticed marygreer.wordpress.com before in my searches! Keep up the great work! what a beautiful poem, isn´t it? Liked this website so much. It´s beautiful, useful and makes us read more, what a good thing ! Thanks for the poems. Rossetti is said to have done caricature playing cards, but the Rosetti archive only has 2 previously showcased in an out of print biography and sometimes I only can find a text listing..
Mari – You always come up with such wonderful trivia. Thank heavens for your curiosity and determination to find the source. Let us know when you find something. Hey guys, nice to be here! 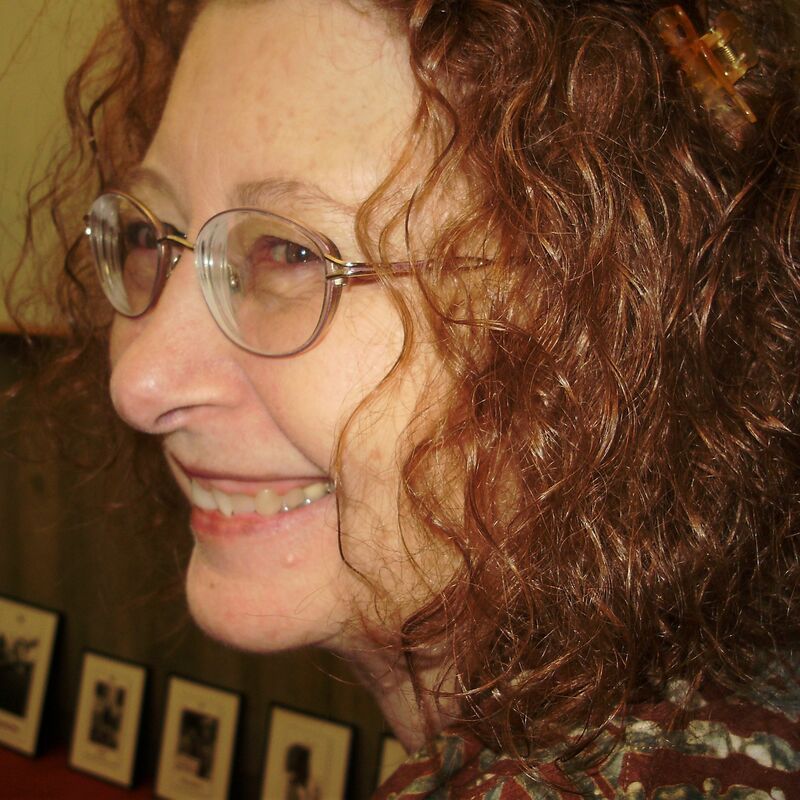 I love marygreer.wordpress.com! I do agree with all the ideas you have offered to your post. They’re really convincing and can certainly work. Nonetheless, the posts are too quick for starters. May just you please prolong them a little from next time? Thanks for the post. I’m sorry. I don’t understand what you mean by the posts being ‘too quick.’ Could you please give an example of what you are hoping for. I find the stories behind the arts to add a fascinating dimension to a work, despite the ‘new criticism’ that advocated dealing only with the work itself. When I was in college I studied William Blake in English class and separately in Art, but neither really dealt with the fact that he did both in such an integrated fashion. I felt cheated when I later discovered how integral each was to the other, so I’m afraid I’ve since gone overboard in emphasizing the biography and background to a work.